This unique property has tremendous potential. The dwelling size and privacy of this large lot has many possibilities including, but not limited to, a private retreat, B & B, rental, ++ use your imagination! 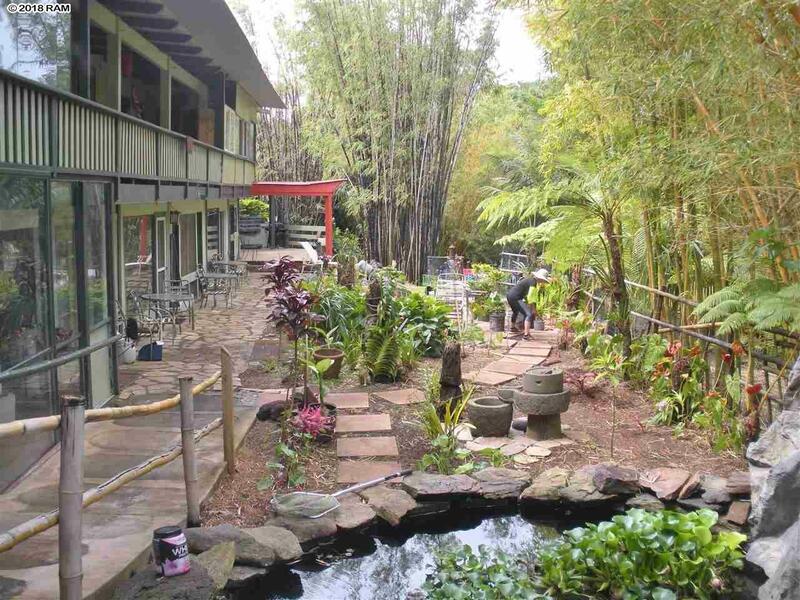 The Bamboo Inn is surrounded by Gardens and Bamboo, koi pond and, of course, bamboo! The Inn has been operated as a B & B, L-T rental as well as housing for hunters/visitors/hikers/bikers and workers to the island. Currently upstairs on rental lease. Two levels offer many options for new owners. Upstairs are 6 beds/ 6 baths with large kitchen and dining area/lounging and outdoor deck. Separate owner/manager's quarters have 2 bdrms/1 bath. Downstairs offers 2 private bedrooms, 3 baths and dorm-style overflow beds. Walk out to garden and BBQ Deck. Off-street parking for apprx. 5 cars; 3 garages in back and one carport in front. All enclosed by entrance gate and surrounded by bamboo and gulch. 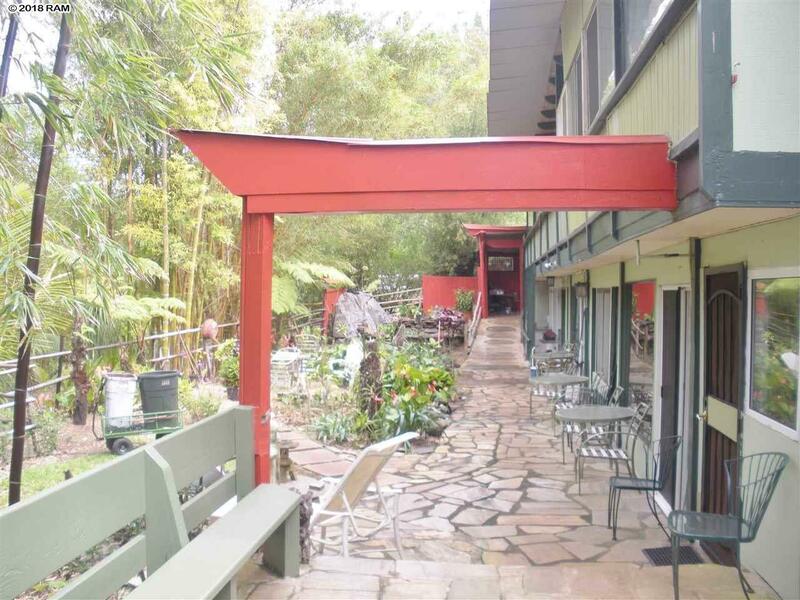 Located at end of Lanai Ave. across from Cavendish public golf course, ATV trails, and a short distance to the Four Seasons Koele Lodge (now being renovated as a Wellness Resort & Spa, opening in Summer). 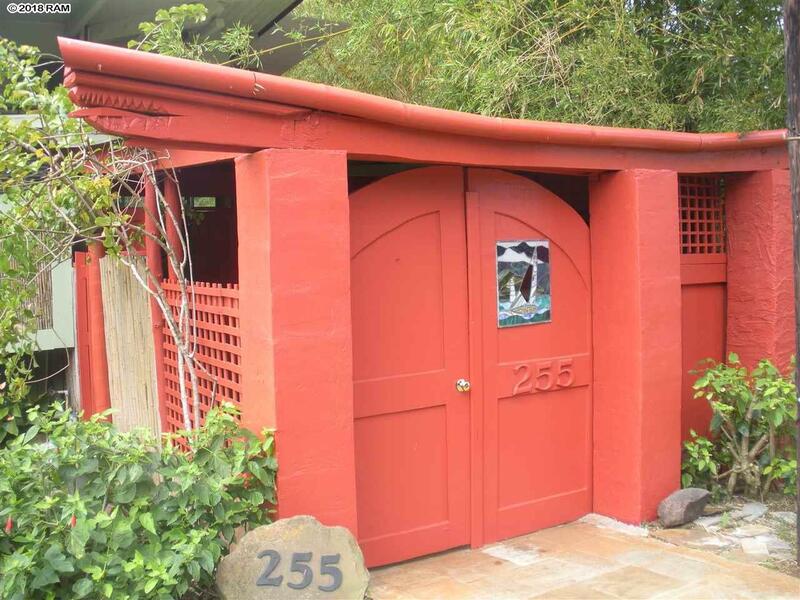 5 mins from historic Lanai City shops, grocery and restaurants. A must see for all the possibilities this property has to offer. 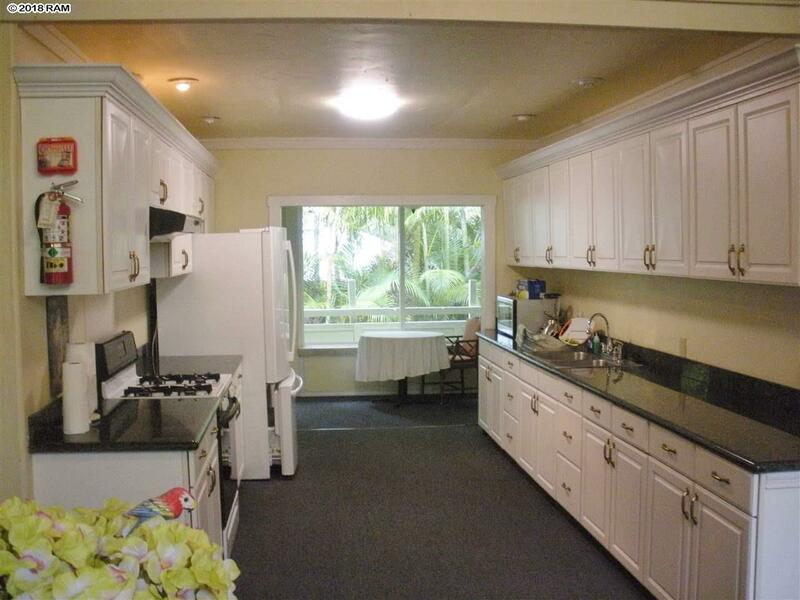 Now is the time to own on the island of Lana'i.